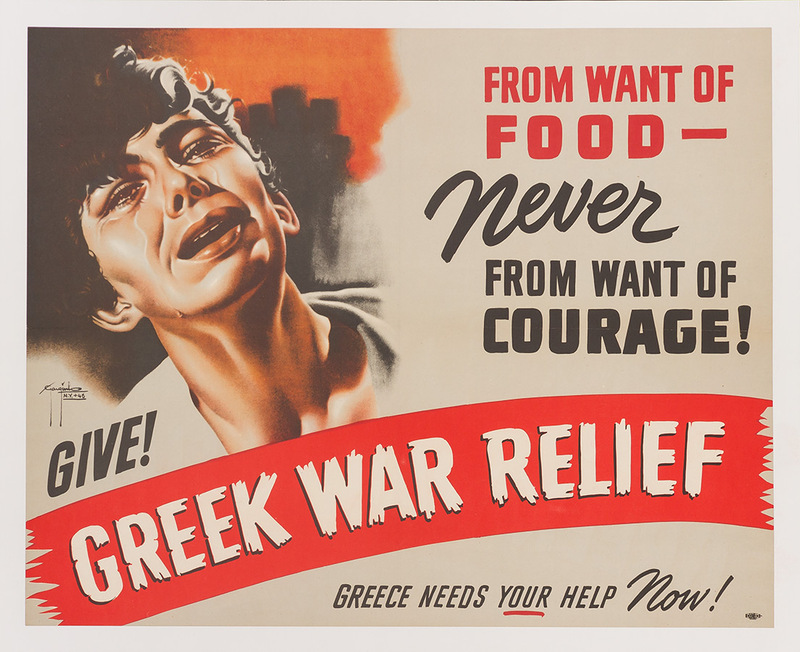 Work, Fight, Give: American Relief Posters of WWII offers a wide-ranging collection of original relief posters and memorabilia that provides an exciting new window on understanding a watershed event in our nation’s history. 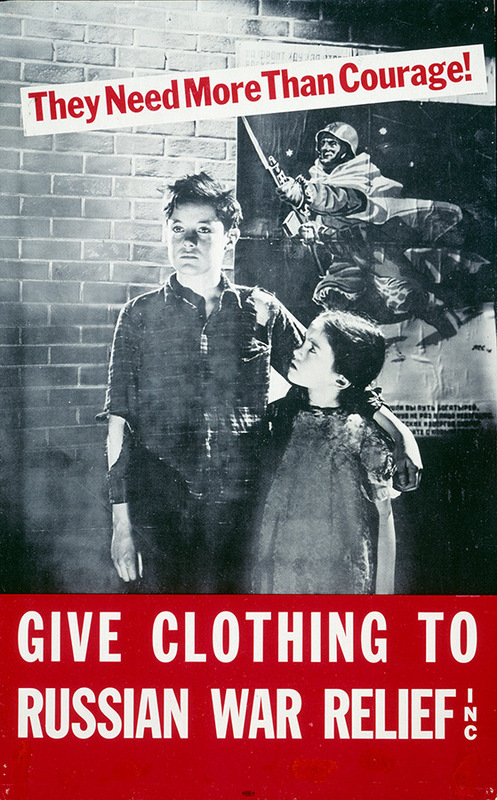 Work, Fight, Give is the first exhibition to challenge our traditional memory of World War II, putting relief efforts at the forefront through an array of visually exciting poster art, poster stamps (known as “Cinderellas”), photographs, banners, and programs issued by the various relief agencies and by the National War Fund—an agency created by Franklin Roosevelt in early 1942 to consolidate the hundreds of relief agencies that sprang up to aid those countries and peoples devastated by war. This is not the story of courage in combat, not the story of the dropping of bombs, rarely the story of rattling machine guns or the bursting of artillery shells; rather, it is the story of those motivated to do something about the carnage and chaos left behind when the din of battle subsides and the armies move on. 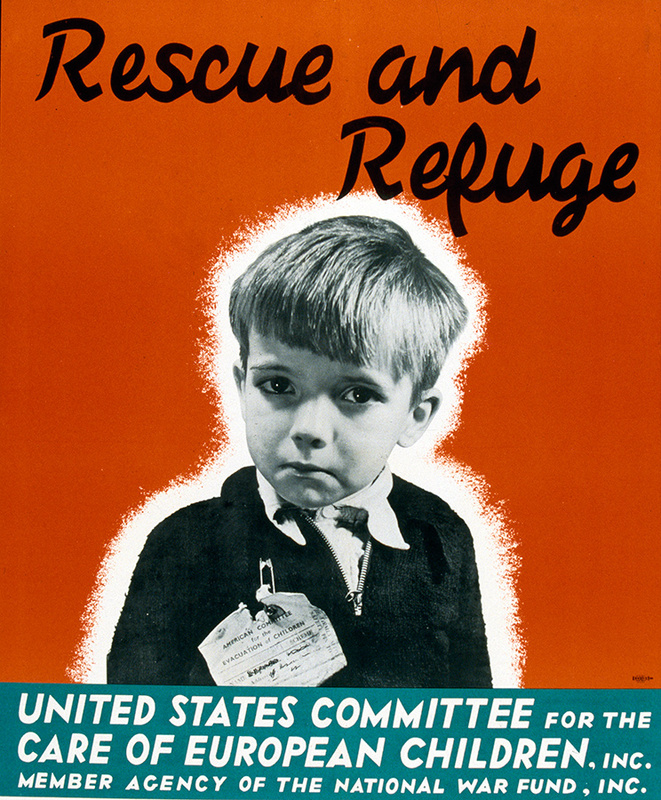 Relief organizations in big cities and small towns alike found creative ways to mobilize Americans and collectively raise millions of dollars to help those in war zones. 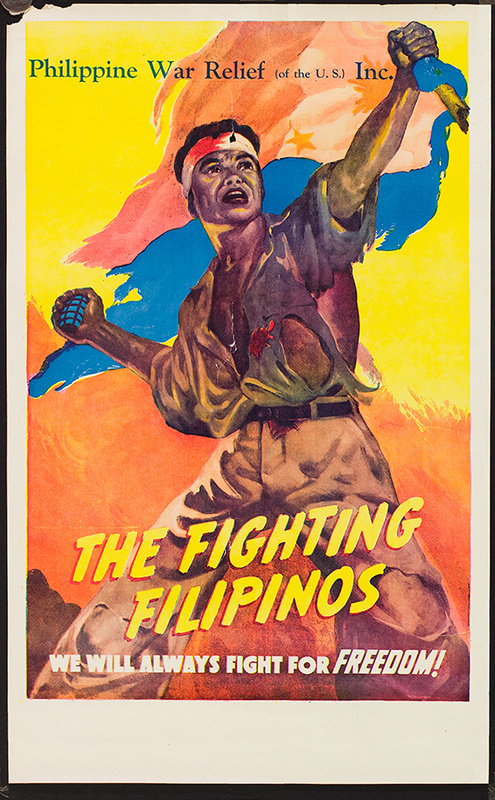 Work, Fight, Give focuses on those who gave of their artistic talents to design posters that were aimed at the heart of Americans, to persuade citizens to donate their time and resources. 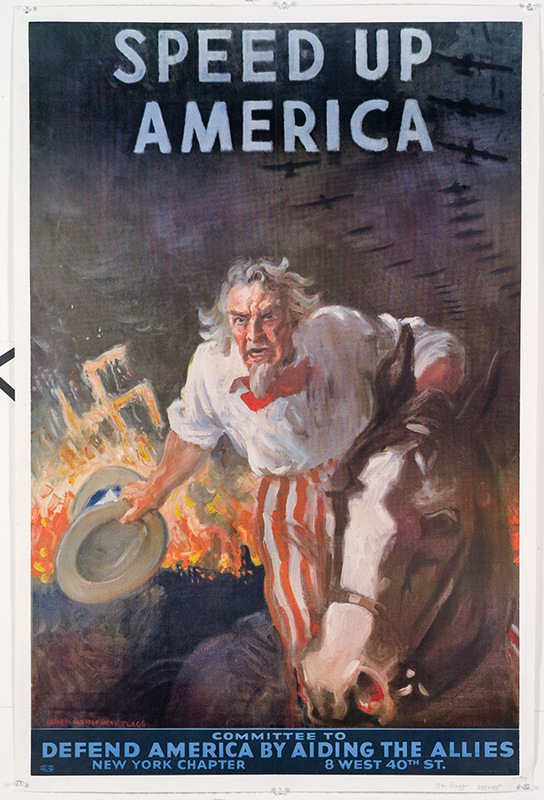 Many of America’s top artists and illustrators designed the relief posters, and they often employed historical, mythological, and cultural symbols representing various countries and cultures. 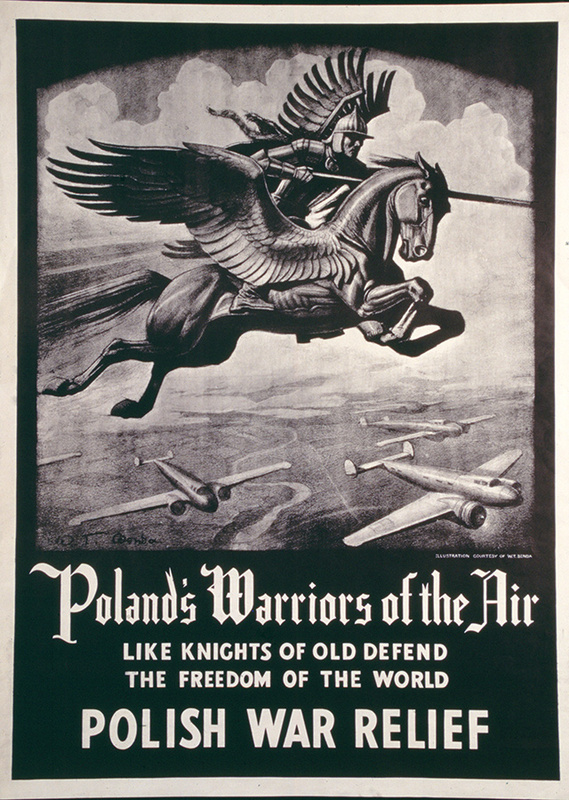 From the regional sensibilities of Grant Wood, to the illustrative style of Arthur Szyk, to the painterly styles of James Montgomery Flagg and Martha Sawyers, the posters branded and differentiated various agencies all competing under the National War Fund name. 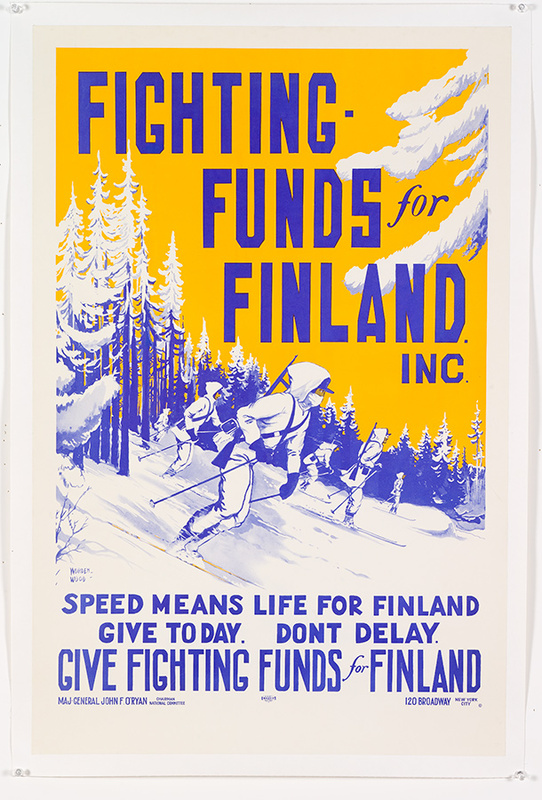 Both the artists and the agencies were proud of their posters, which frequently became the face of an agency’s fundraising efforts. 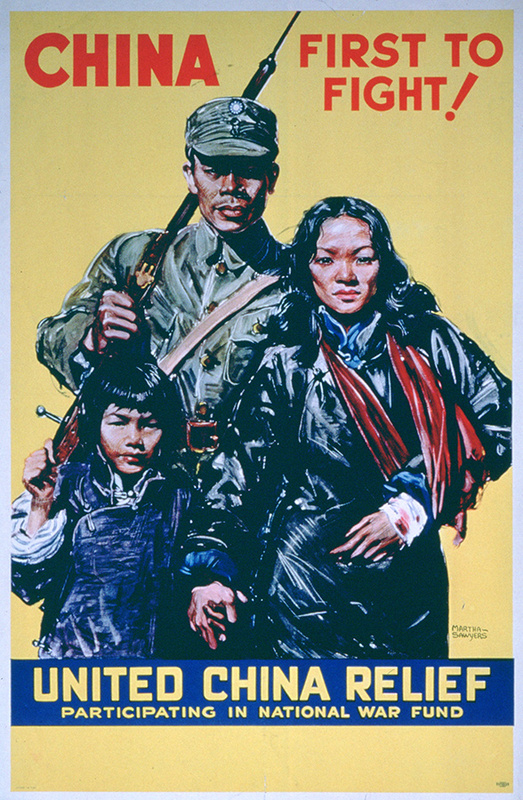 In addition to the posters themselves, this exhibition offers context of the posters in action, through images of the artists, along with agency leaders, movie stars, well-known personalities, or simply volunteers proudly showing off their posters. 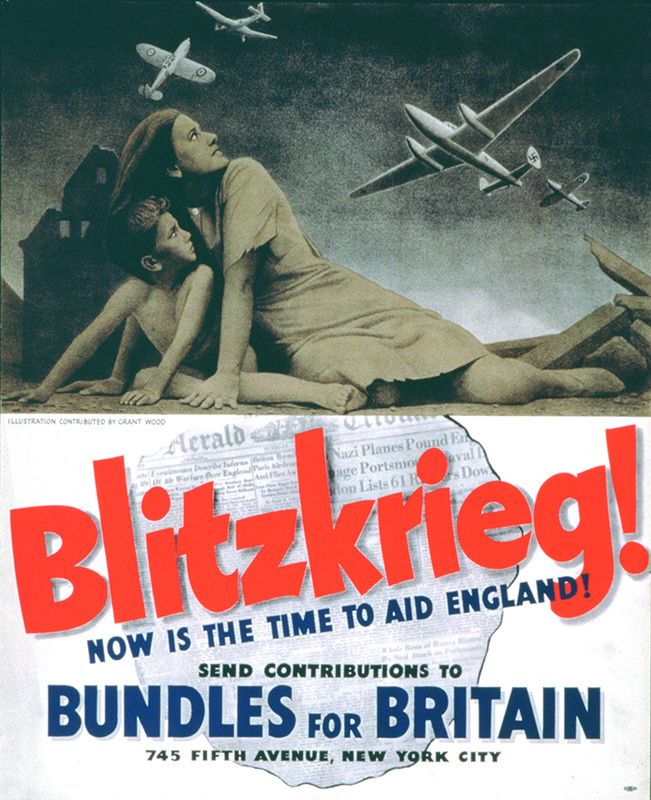 The poster imagery employed by the National War Fund and its relief agencies, today rarely seen and largely forgotten, will allow the viewer to experience this stupendous effort to aid those in need in a visually and intellectually exciting venue. While the exhibition is historical, the material will be new to most viewers. 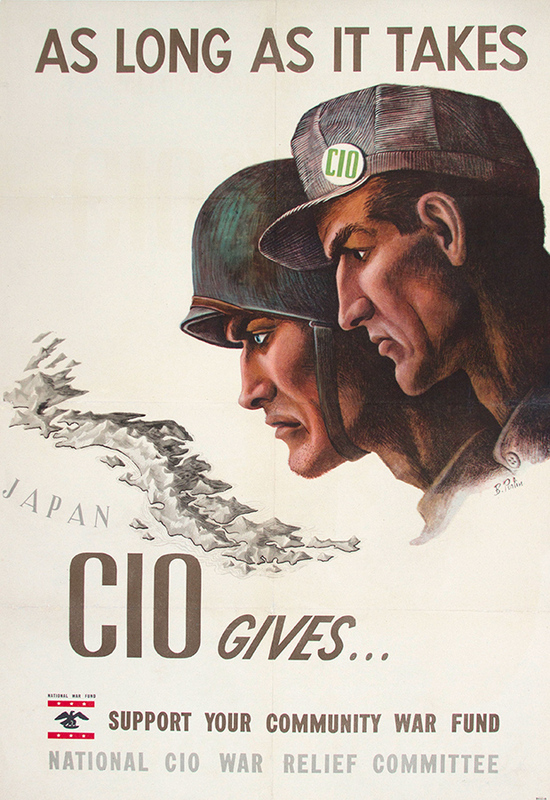 It is as well contemporary (temporal) and reveals a universal theme—we are “our brother’s keepers.” Work, Fight, Give serves as a powerful reminder of the continuing need for philanthropy in a tumultuous world, and how the greatest generation met that challenge. 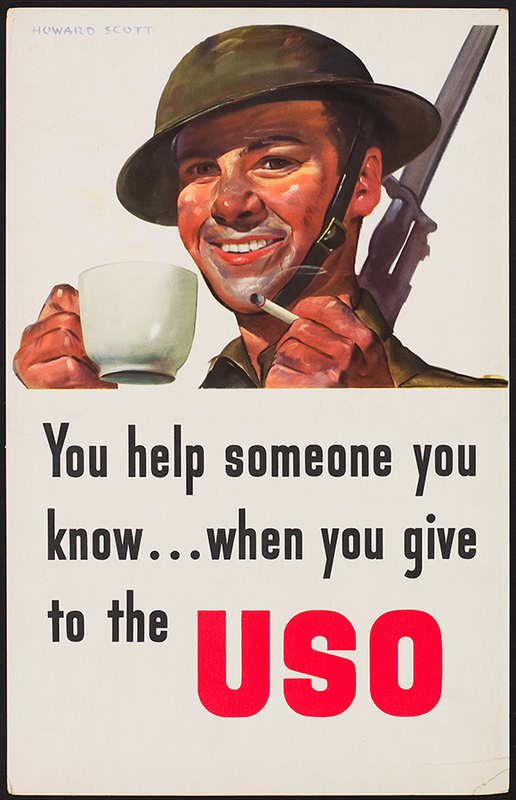 Work, Fight, Give: American Relief Posters of WWII will tour March 2017 through March 2022. The dates below reflect five-week exhibition periods. Dates are subject to change; please contact MoreArt@maaa.org or (800) 473-3872 x208/209 for current availability.